Not much is known about the Ancient Sages. They are said to have had the Temple of Time built. Nothing more is said about them. In OoT they are always mentioned as the "ancient Sages". 2 Builders of the other temples? 4 Six, seven or many? 5 Who were the Ancient Sages? The main (and only known) achievement of the Ancient Sages is to have had the Temple of Time built to protect the Triforce from evil ones. The Temple of Time was situated in the place where the only entrance to Sacred Realm is, where the Triforce rests. In order to seal the entrance, they put a huge stone wall, called the Door of Time. They also created the four keys that open the Door of Time: the three Spiritual Stones and The Ocarina of Time. To open the Door of Time, you only have to put the three Spiritual Stones on the altar and play the Song of Time with the Ocarina of Time. Builders of the other temples? It can be speculated whether the Ancient Sages built the other six Temples or not. It seems that the title Sage of ... (or ... Sage) is just an abbreviation of Sage of the ... Temple. The role of the Sages is, as Impa says, to guard their Temples. From this piece of evidence, it can be infered that the Ancient Sages were also guardians of their Temples, but nothing more. Because of this, more evidence should be used. The five Hyrule temples seem to be made by imperfect, unlike the Light Temple and the Temple of Time. According to non canon sources, such as zelda.com and the Official Strategy Guide, the Spirit Temple was made by Gerudos, of which one can conclude that the other temples were made by the tribe who lived on that area. But it is not necessary to use non canon sources as an evidence, since they all seem to be destroyed by time: the Forest Temple stairs, the Desert Colossus' face... But if they were built by imperfect hands, why do they wield so much power? Maybe the Ancient Sages used the Triforce to convert the five Temples into portals to the Sacred Realm. The Temple of Light is a totally different case: it seems to be a counterpart to the Temple of Time. The resting place of the Triforce seems to have been built to protect it from evil ones, as the Ancient Sages did with the Temple of Time. From this, it can be concluded that they also built, using the power of Triforce, the Light Temple. Seven are the Temples in Hyrule. Seven are the Sages in OoT. Seven and six are numbers with strong symbolism. Seven means completeness and perfection, while six doesn't look to have an special meaning. Number seven appears 17 times in OoT, while six appears only 10 times. Six are the Medallions the Sages give to Link. Rauru, Sheik, Impa, Nabooru... they all speak about the Six Sages. Although Zelda is the Seventh Sage, in the game it never says anything about the Seven Sages. Rauru is the Sage of Light, Saria, the Sage of the Forest... but Zelda isn't the Sage of anything. According to Zelda, the holder of the Triforce of Wisdom is the Seventh Sage. Rauru, the only surviving of the Ancient Sages, doesn't know anything about the Seventh Sage. In fact, Zelda is the only one that knows about the Seventh Sage. From this evidence it can be concluded that Ancient Sages were just six people. Who were the Ancient Sages? Although only two of the Sages are known, it can be speculated about who the other six were. Rauru is the only surviving of the Ancient Sages, and almost certainly the Ancient Sage of Light. Why he lives while the others have already died, is unknown. It can be speculated whether he was the leader of the Ancient Sages. In fact, according to non-canon sources, such as Official Strategy Guide and Zelda.com, he was the architect of the Temple of Time, the Ancient Sages' main achievement. the reincarnation of an ancient Sage. is the reincarnation of one of the Ancient Sages. Although some have speculated whether he is the earthly incarnation of Rauru, this has proven to be false. Another possibility is that he is the reincarnation of Great Deku Tree, for he is first seen just after the death of the Deku Tree, but this is disproved by the fact that the Deku Tree reincarnates himself into the Deku Tree Sprout. So, the only remaining possibilities are the other five Sages. Of them, it seems more likely that he is the Ancient Sage of Spirit reincarnated, because he is seen twice around the Spirit Temple, and the only time you see him in the future is when Sheik teaches you the Requiem of Spirit. 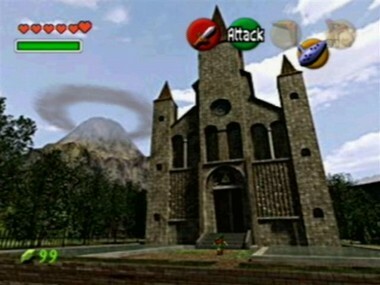 Although no more candidates are suggested in OoT, it can be speculated who the rest of them were using as a clue the former holders of the three Spiritual Stones. 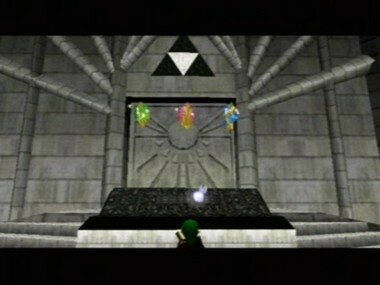 The Spiritual Stones are, together with The Ocarina of Time, the keys needed to open the Door of Time. From this, one can assume whether the Ancient Sages created them or that the Spiritual Stones existed before the Sages and they gave the stones the power to open the Door of Time. Assuming that the stones were passed down by the Sages' descendants, one can speculate about who the Ancient Sage of the Forest, the Ancient Sage of Fire and the Ancient Sage of Water were. It can be speculated whether the Ancient Sage of Shadow was an ancestor of the OoT Impa, possibly also named Impa. . The Kokiri's Emerald, the Spiritual Stone of Forest, is the only one of the Spiritual Stones that isn't said to have been passed through a race. The only known holder of the stone seems to be the Great Deku Tree. Then one may think that he is one of the Ancient Sages. He dies after you defeat Queen Gohma, so he is not alive when you enter to the Chamber of Sages. It can be asked how a tree can enter inside the Chamber of Sages, but since it seems the Sages can only enter in there in a spiritual form and that just Link's spirit is kept in the chamber, it can be possible that Deku Tree just sends his spirit to be able to act as the Ancient Sage of Forest. The only problems for this theory are that Ancient Sages seem to have died ages ago, and that the Deku Tree never claims to be a Sage, but the guardian spirit. Volvagia living in this mountain. That dragon was very scary! He ate Gorons! long ago, but it's true! Was the leader of their people. Is an ancestor of the Sage of Fire. He died ages ago, as did the Ancient Sages. The Zora princess gives it to the man who is to become her husband, and King of the Zoras. Once they have a girl, before the mother dies, or before the girl gets married, the mother gives it to the eldest daughter. From this speculation it can be concluded that both the royalty and the Spiritual Stone of Water are inherited through a matriarchal line. So, the first holder of the Spiritual Stone and Ancient Sage of Water might be the first queen of the Zoras, the wife of King Zora I.
the gods somewhere in Hyrule. holds the Triforce in his hands. reincarnation of an ancient Sage. The Japanese means ancient Sages, while, with little imagination, one can see the English and the French translations are the same. The German means just "Sages"
This page was last modified on 12 April 2006, at 15:23. This page has been accessed 131,542 times.